Those white marks are from the product seal and tag price. I have watched lots of makeup tutorials and many of them include using liquid eyeliner. It took me this long to try to get over my fear of liquid eyeliners. The fear I might make a mess of my eye makeup and waste a good product. 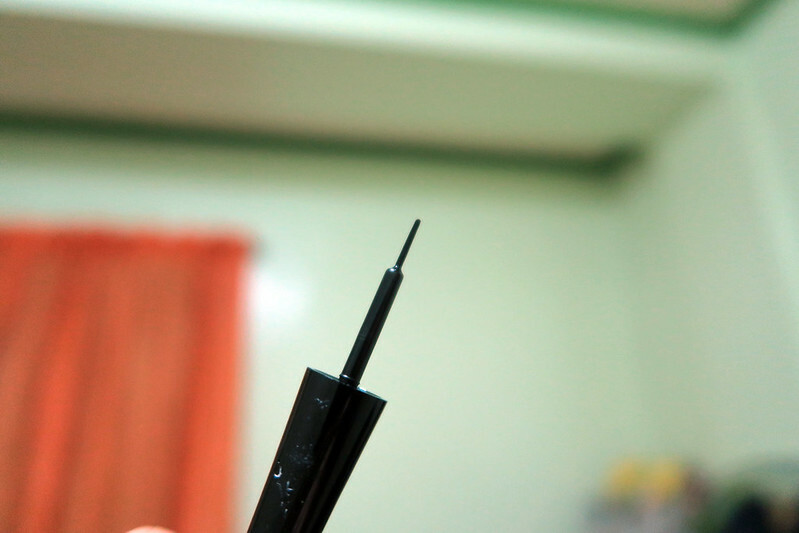 I gave in after seeing the Hyper Glossy Liquid Liner and its low price of PhP199. Should I really fail with it, I wouldn’t feel bad of disposing. The opacity is a medium black and it _is_ shiny, so I prefer to use this for nighttime makeup. Those who like their liquid liners matte, should skip this product. 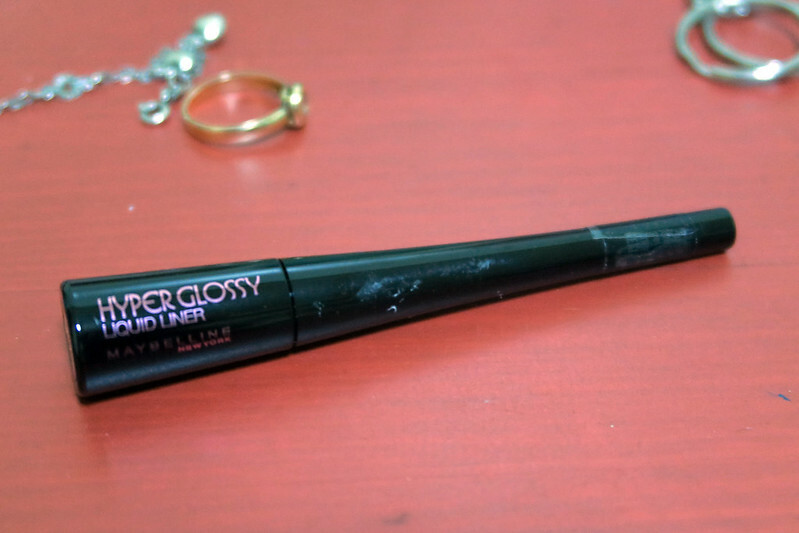 It is smudge-proof and barely fades even after many hours of wear. Although it ‘behaves,’ I can easily remove it with my BCL Gel Oil Eye Makeup Remover. It gets messy upon removal. But after a wash, it’s entirely gone. No residues left. With my success in using this, I’m excited to try other kinds of liquid liners. 😀 As mentioned previously, I bought this for only PhP199. Definitely, and again, recommending this especially for those on a tight budget.